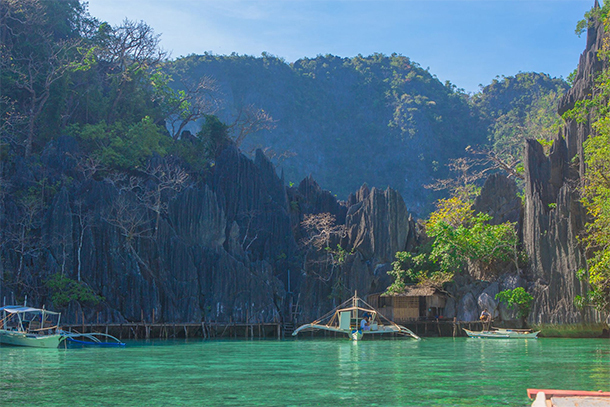 Coron, Palawan in the Philippines has always been high on my bucketlist. So when I finally got the opportunity to visit it, I eagerly grabbed the chance. Even after learning I was pregnant and my husband was hesitating, I insisted to continue with the travel plans as agreed. Who would want to miss such a promising trip? 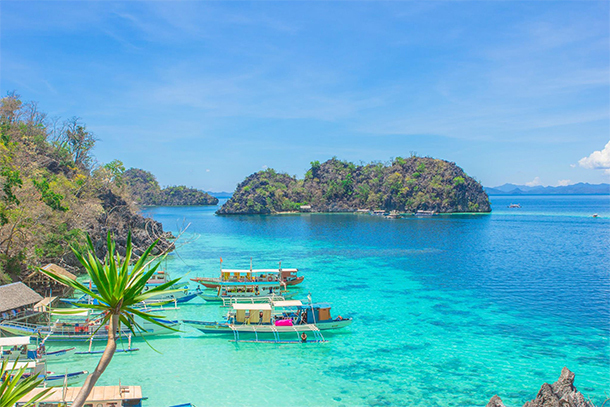 Well, for those who are not familiar, Coron is known for its amazing beaches, gorgeous lakes and wonderful diving and snorkeling spots. 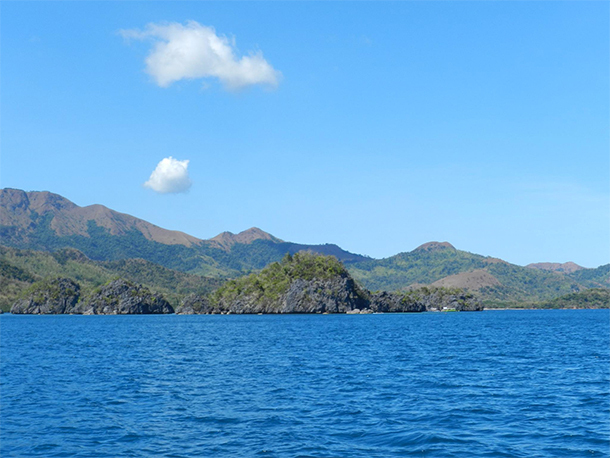 Like the rest of Palawan’s famous municipalities, Coron has several beautiful attractions that any nature-lover will admire. 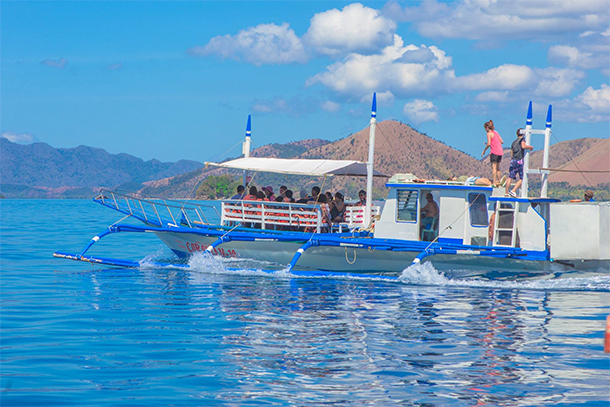 For travelers who are planning a visit to Coron, there are several tour packages you can avail, including the Coron Town Tour, Calauit Safari Tour, Busuanga Island Tour and Island Escapade Tour among others. With the numerous islands that you can visit and the numerous tour packages, there is absolutely something for everyone. 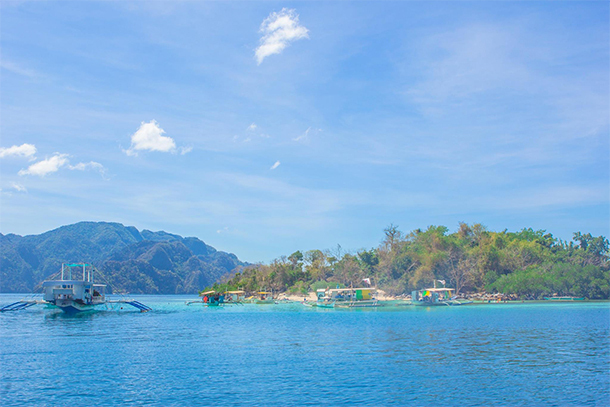 One of the packages that we have booked is the Coron Island Ultimate Tour from the Calamian Islands Travel & Tours. This was the same agency who took us on our Calauit Safari Tour. 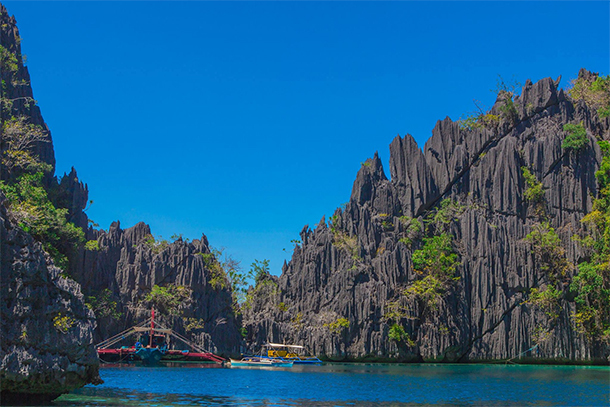 The Coron Ultimate Tour includes a visit to several of Coron Island’s gem: its lakes and beaches. Cost for the Ultimate Tour was around 1,600 Php (31.60 USD). This includes the tour guide, hotel pick up, tourist boat, permits and entrance fees for every destinations and lunch buffet. Our booking type was a joiner package, meaning we were joined with other groups during the tour. It was much cheaper than the Exclusive Package which was about 2,500 Php (49.47 USD). The van that will take us to the port arrived at the hotel at around 7am. 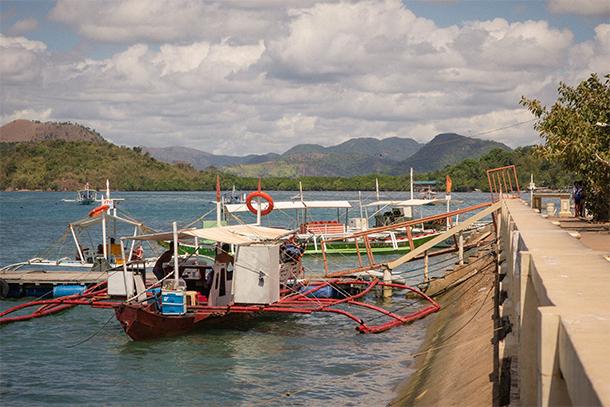 We were taken at the port near the Lualhati Park where the boats for the tour were docked and waiting for its guests. Here, guests may rent additional gear for the trip, including flippers and snorkeling gear. The guides will be more than happy to assist you with the procurement of the equipment. 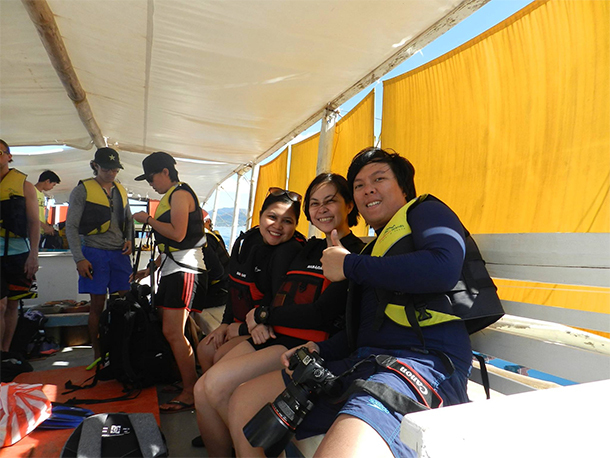 Once set, everyone was ready to explore the beauty that Coron has to offer! For those who are planning to visit Coron, below were the places that we’ve visited and the activities that we had! 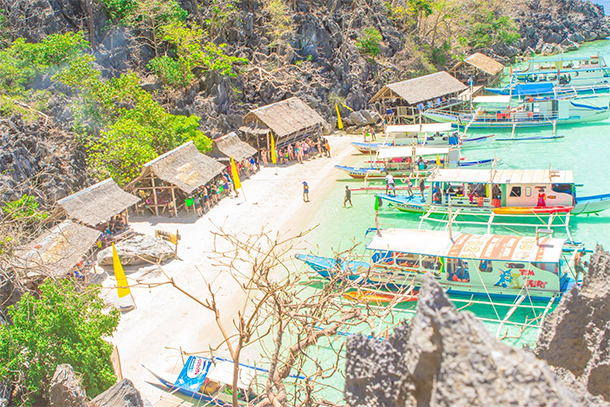 Initially, our itinerary included the Kayangan Lake. Unfortunately, it was closed at the time of our travel due to an accident wherein two (2) tourists died after free-diving in the lake. Hence, the itinerary was changed instead to Barracuda Lake. You need to take this 30-40 wooden steps to get to the lake. The landing platform at the lake was pretty small. So it is advisable not to linger too long. As for us, we immediately jumped into the water to avoid the crowd and enjoy the lake. That is, after taking this picture. LOL. Barracuda Lake is famous for its thermocline, meaning its temperature changes rapidly with depth. The lake is a favorite spot for tourists who love to dive. I am no diver, but from what I saw from snorkeling, the landscape at the bottom was definitely unique. 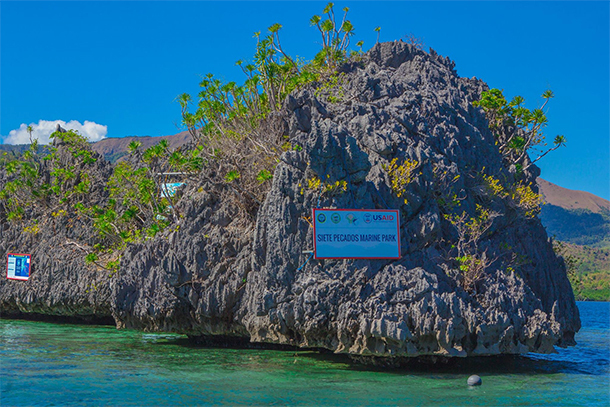 It added a nice touch to the gorgeous limestone cliffs that serve as its boarders. Barracuda Lake was indeed one of the most gorgeous lakes I’ve seen. 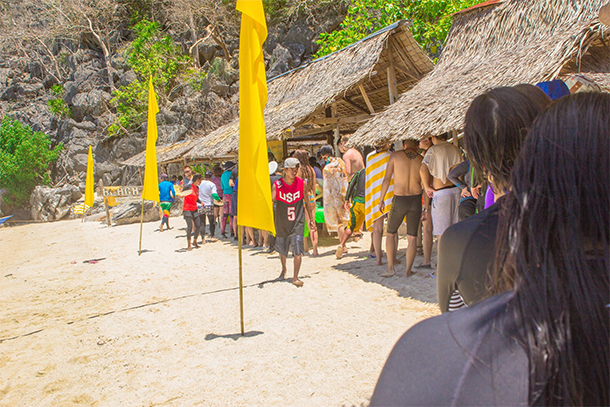 CYC Beach or ‘Coron Youth Club Beach’, was our second stop for our Coron Ultimate Tour. We were supposed to head to the Twin Lagoon, but seeing that there were already other boats going on that direction, our guide opted to proceed to the CYC Beach first and save Twin Lagoon for later. CYC Beach has picturesque views and powdery white sand. It is perfect for those wanting to sunbath and just enjoy the crystal clear water. 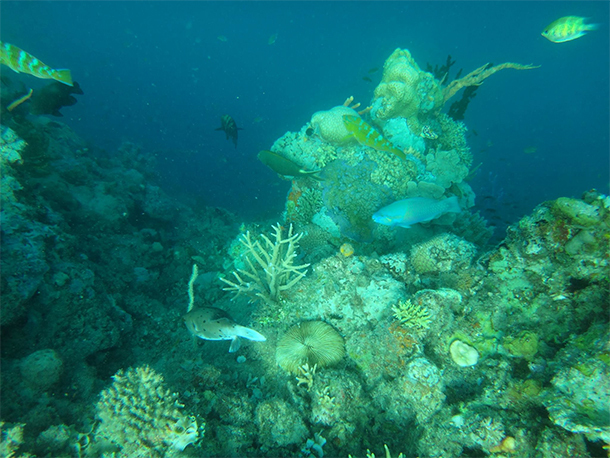 As for us, we chose to enjoy the water and look for fishes and corals. 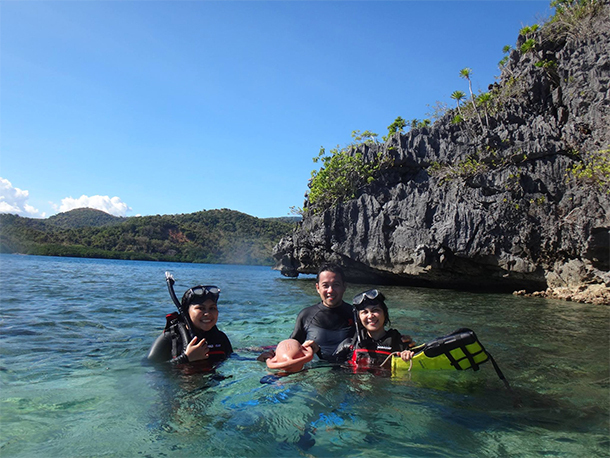 Dive-lovers would be happy to explore our 3rd destination of our Coron Ultimate Tour: The Skeleton Wreck. It is a Japanese Sunken Ship that is located around 40 meters below sea level. 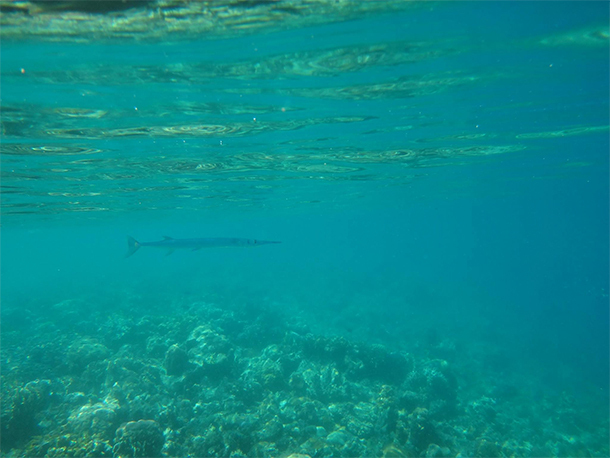 What is astonishing, however, was how clear you can still see it from above (we were snorkeling). We had our guide took pictures for us. He was free-diving and was a pretty good swimmer! After exploring the Skeleton Wreck, we headed to Beach 91 where our lunch was prepared for us. There were cottages set-up with delicious food including seafood, meat and veggies. The view was also breathtaking and added such a great ambiance to a relaxing lunch. Our guide was very game and took pictures for us of the island. See how breathtaking the view is! After our scrumptious and relaxing lunch, we then headed to the Twin Lagoons. This was indeed, for me, one of the highlights of our Coron Ultimate Tour. 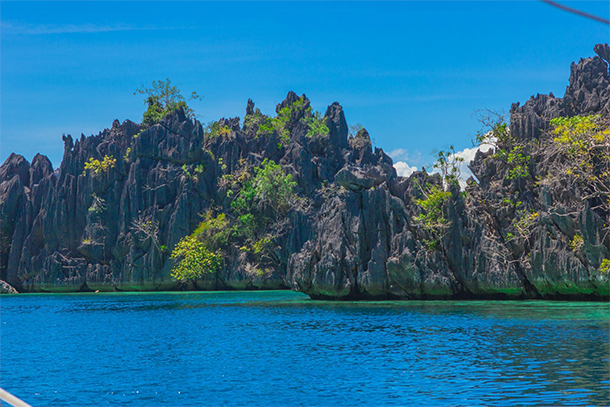 We were greeted with the amazing views of Coron’s karst landscape and aquamarine waters as we were approaching the lagoons. The Twin Lagoons are two bodies of water separated by a wall of karst. The two lagoons are separated by walls of karst and can be accessed by entering a small crevice under the rock. Two to three (2-3) persons can swim through this narrow opening at a time. On high tides, this entry is submerged into water. Once this happens, visitors may use the wooden ladder built over the cliff. 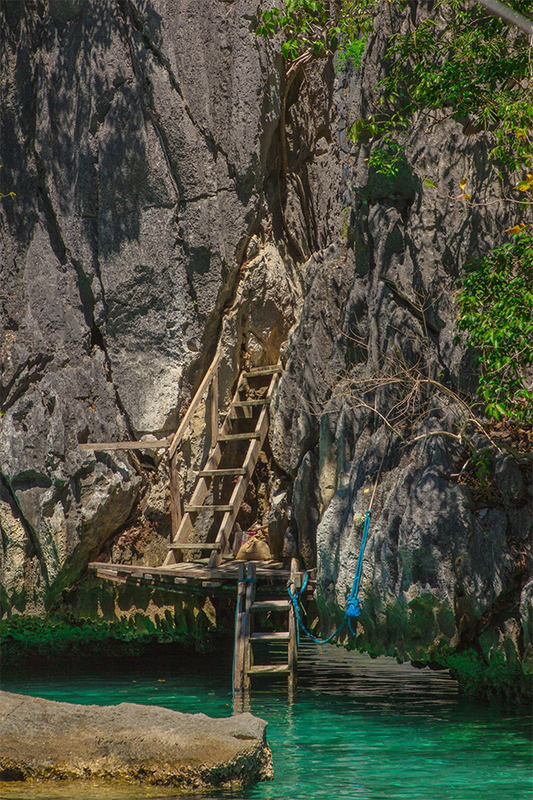 Aside from being an alternate entry to the second lagoon, climbing the ladder will greet you with the lagoon’s amazing views. We spent the entire time leisurely swimming in the second lagoon. The water was very deep in most parts and temperature differs on some areas. It was pretty awesome to just float away on its waters. 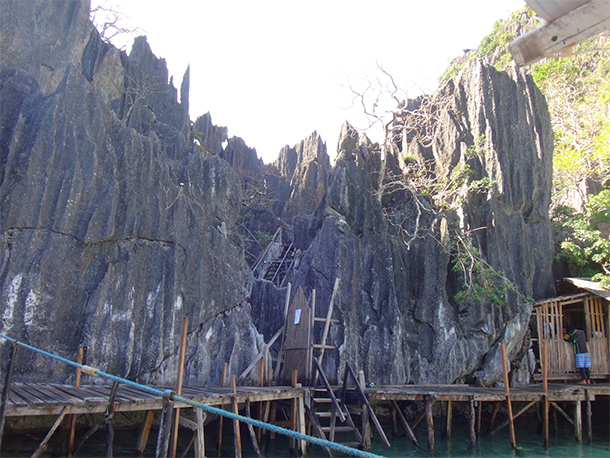 Our last stop on the Coron Ultimate Tour was the Siete Pecados Marine Park. For coral-lovers and those wanting to snorkel, this is the place for you. The name ‘Siete Pecados’ was derived from the seven islets surrounding the area. According to the legend, it is believed to be the seven daughters of a local who went swimming against their mother’s orders and drowned. The seven islets appeared after their death. 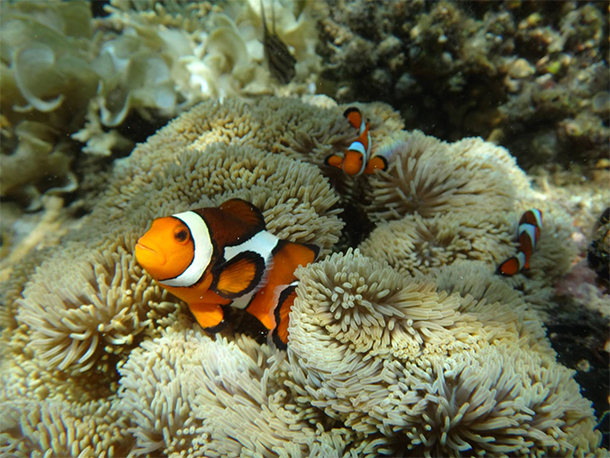 This marine park boasts of an abundant marine life, including colorful corals and fishes. 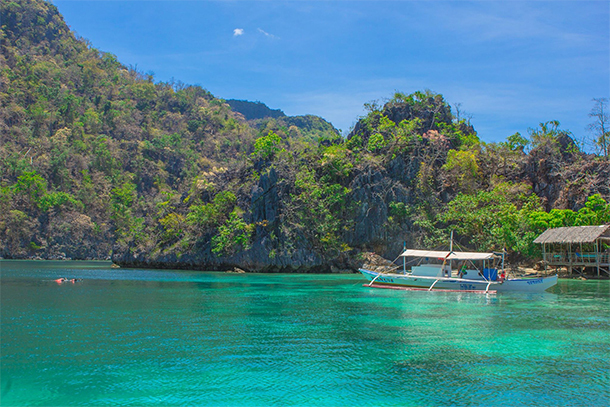 Not to mention the crystal clear water that is very common in Coron. We managed to explore a part of the marine park and it was truly amazing. 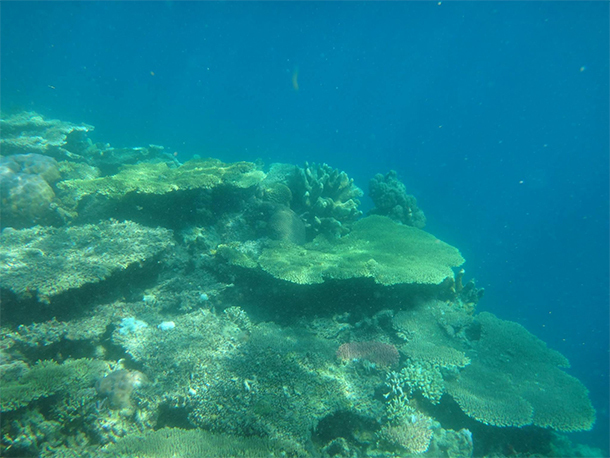 This reminded me of how much I love Palawan and its gorgeous corals! Feeding the fishes is prohibited so as not to disturb the natural food chain in the park’s ecosystem. 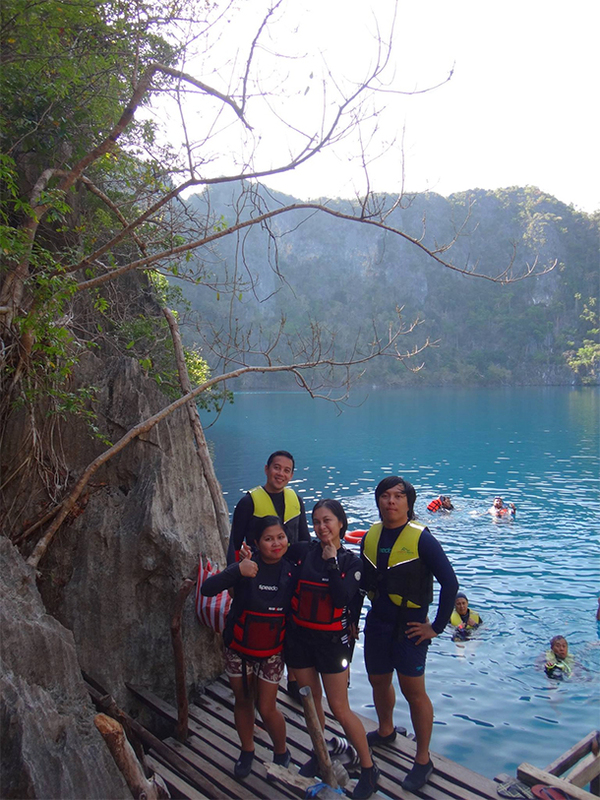 It took us the whole day to complete the Coron Ultimate Tour and I just loved every moment of it. It was just too bad about the Kayangan Lake though. I’m sure it would’ve been awesome to see one of the most cleanest lake in Asia! Maybe when I get to visit Coron again, I’d be able to visit it too! Have you ever been to Coron? What was your favorite part of the Island’s Ultimate Tour? I’ve heard so much about Palawan. Haven’t set foot in the Philippines yet even though I have done a lot of SEA. Definitely on my list since I love snorkeling. My husband is more of a diving person. I am absolutely dying to visit Palawan! I’m a little hesitant because it seems really hard to get there, but the crystal clear water and marine life looks 100% worth the journey! I haven’t been to the Philippines but your photos of the white sand beaches, blue seas and those steep cliffs certainly make it look appealing. I just love places that are naturally beautiful! Not sure about the name, but barracuda lake looks so beautiful! I have not been but it looks beautiful! I am not a diver either, I prefer snorkeling so it’s nice to know that you can still see alot. Have never been to the Philippines but your post has shown that there’s a lot to explore in your country! I loved the Philippines, haven’t been to Palawan yet but if I read your blog I can’t wait to visit! What a gorgeous place! The colour of that water is just stunning. Thanks for sharing – I would love to have the chance to travel here one day. Wow so many beautiful spots to be seen! I love snorkeling so I think I need to add this to my bucket list! What was your date of visit? I’m flying there tomorrow but I’m quite apprehensive on the seafood since a couple of people died from red tide poisoning. It was March this year 🙂 I’ve heard about this news too. I hope you still enjoy your visit to Coron despite this. 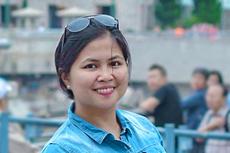 I love your blog Marvi! The colours of the Philippines are so vibrant and I really, really need to come and visit to experience the underwater world. Places like Barracuda Lake look amazing! That’s soo sweet! Thank you, Lisa 🙂 We have so many amazing beaches, colorful corals and abundant marine life that I’m sure you’ll love! I’m so sad I missed Coron while I was in The Philippines, but we just couldn’t fit it in the schedule! I can’t wait to return though – I’ll definitely be spending some quality time with many of the places you mentioned! Wow your photos are stunning! I really want to go! What incredible pictures! seems like a lovely day! I can’t believe you can see a shipwreck from above the water. What an adventure to be able to dive to a shipwreck! Barracuda lake looks sensational. I just love the formidable rock formations that surround it. I had never heard of this region, so thank you for introducing me to it! You’re welcome, Katelyn. I’m pretty sure diving at the shipwreck would have been divine (it was already great from our point of view as we were just snorkeling). Palawan is very near to us for I live in Negros Occidental, but I have opportunity to visit the place or the chance to go along with my fellow school heads who spent their summer vacation there. The place indeed is full of beautiful nature spots to explore. We are trying to plan a trip to Coron myself and how opportune that I come upon your article. Will keep this article in mind once we have booked our flights. Thanks. I would love to go snorkeling in Palawan. The water looks so clean and beautiful and the fish are stunning. Looks like you had a wonderful experience there. Yes we did. 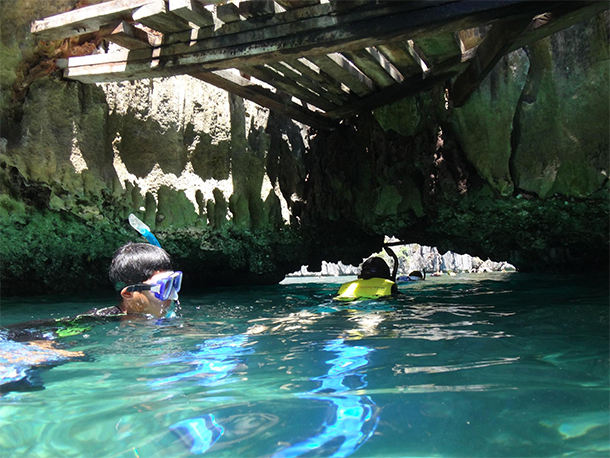 Snorkeling, especially at the Siete Pecados was indeed awesome! 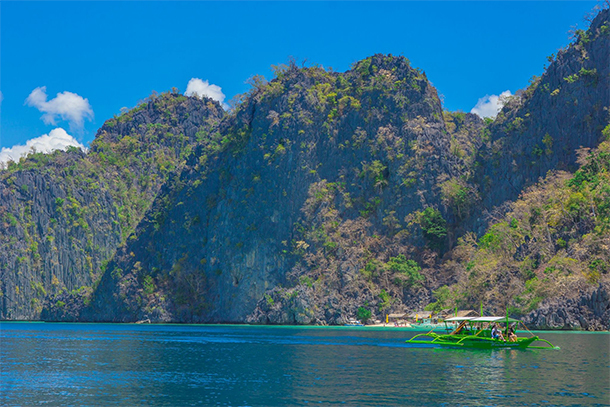 Did you feel safe during your stay in Coron? We are hesitant to visit related to unfortunate events with foreigners. The water looks absolutely incredible here. I would love to go diving and visit the some of the different diving/swimming spots. Thanks for putting this on my bucket list. 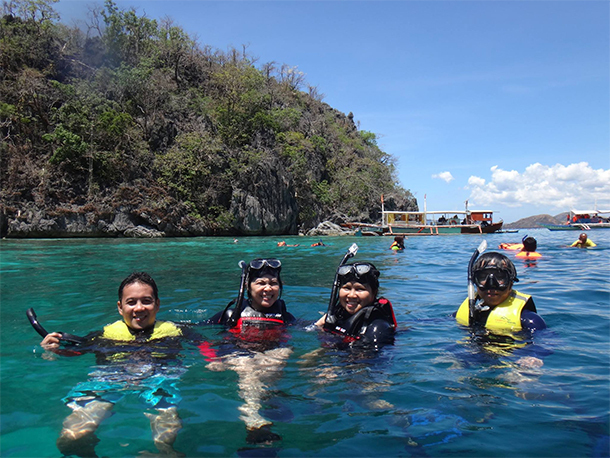 I was also able to see Coron and explore the different marine life and also their mountain. 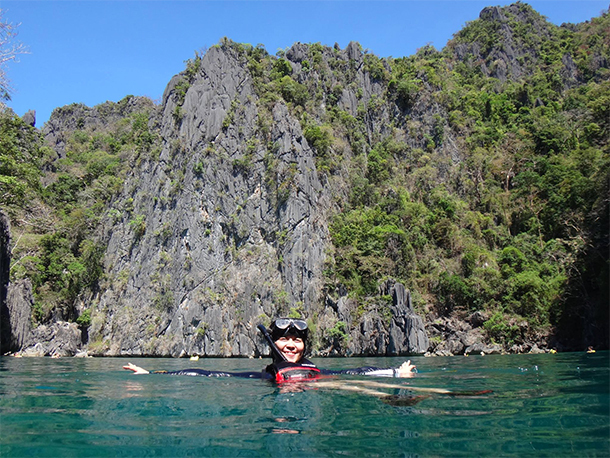 Coron is really such a rich place when it comes to natural attractions and marine diversity. Wow, I’ve seen and heard so much about the Philippines, yet I have never been there before. Definitely adding it to my bucket list now after seeing these photos and reading this post! wow Barracuda Lake looks so wonderful! 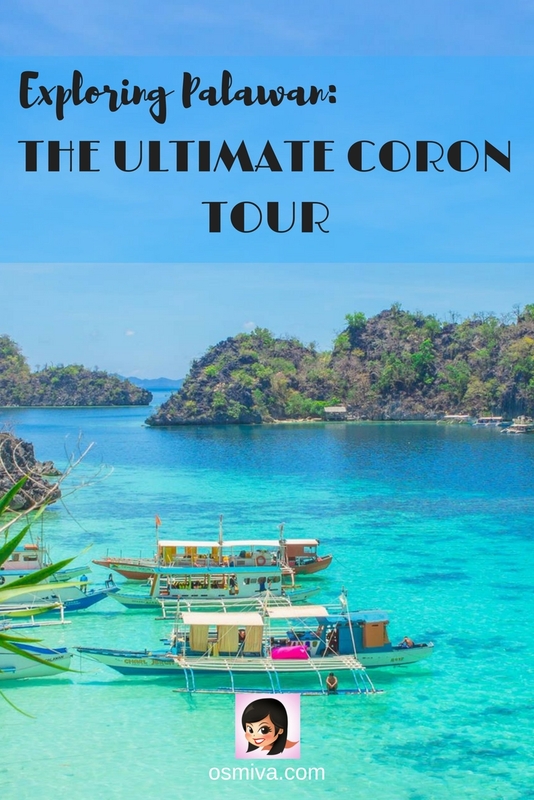 I haven’t heard about Coron yet but now I have to add it to my list what to see in Philippines when I visit one day! There is so much to do and to see! amazing beaches, those lakes and sea life! I actually haven’t done that much research on the Philippines – so the introduction to the post was very useful 🙂 thanks for setting it up properly. Anyway, it seems like the tour was a great deal! Each of those sites was unique – but I have to say I’m most intrigued by the shipwreck. 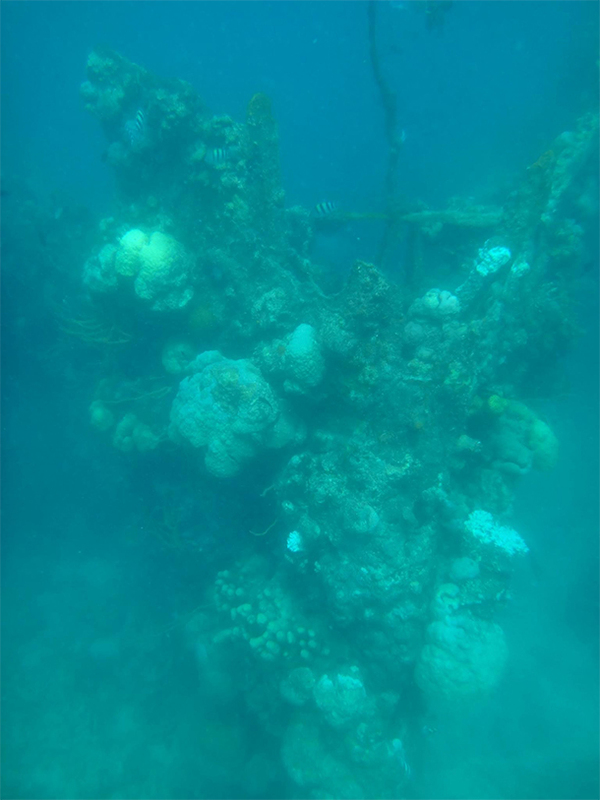 My very first snorkeling trip ever was in the Florida Keys, and my favorite spot on that trip was a shipwreck that would have been about 15-20m down. All that was visible was the very upper decks and main mast and its first boom, but MAN was it so cool to see! I also loved Looe key for all the sea life there – just like at Siete Pecados. Thanks for sharing! It sounds like a great time, and I bet you’re glad you went even though you had just discovered you were pregnant! That’s awesome! Yes I was 🙂 It was something I didn’t want to miss as I was dying to go there years ago. 🙂 I would’ve loved to explore the shipwreck too, if I just know how to dive. LOL. Wow what a lovely place. Makes me want to hang up and visit. The under sea life seems beautiful. Visiting places like this makes you feel in love with nature. Very beautiful scenery. Yes indeed 🙂 It’s like pushing a refresh button and you’ll feel great! Wow this tour is almost like made for me! Interested in almost everything I read. 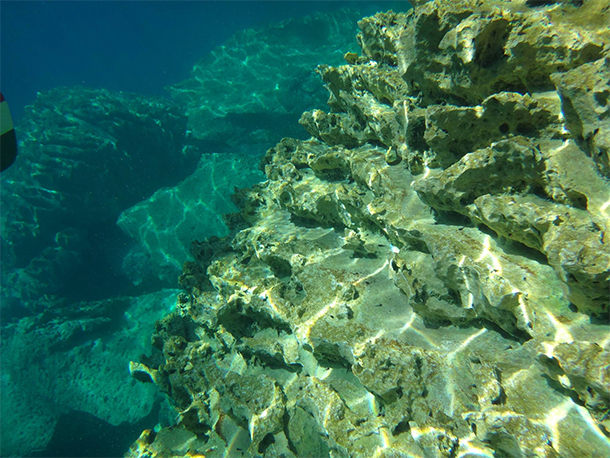 I love snorkeling and would love to see the Skeleton Wreck – rarely will you see a wreck without diving! Wow, all that beautiful blue water! The Philippines is on my bucket list! Thanks for your recommendations! This is the definition of paradise! Would love to do the wreck dive and explore the lush greenery! 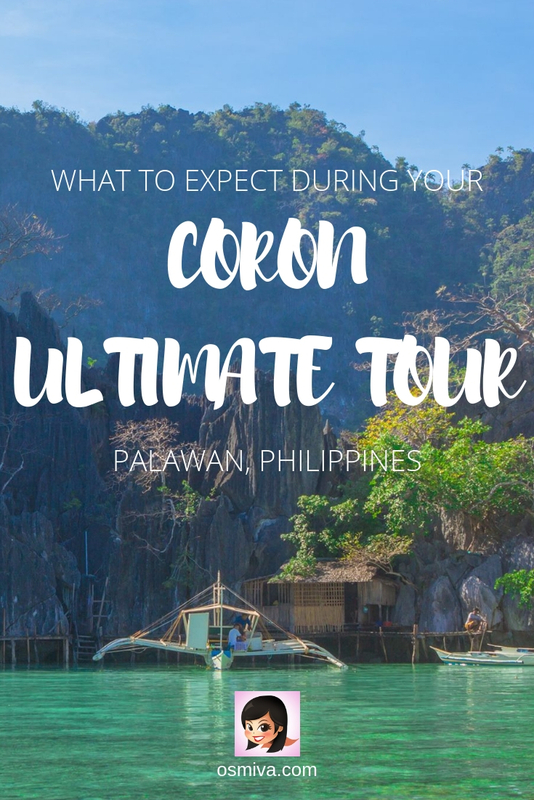 I had not really heard alot about Coron and I am so glad you did this article! It looks beautiful! Oh wow, those bright colors are absolutely gorgeous. I love to snorkel and spend time doing activities in the water so I’ll be adding this to my list of things to do when I visit! Wow, the lakes, the landscape, and the environment look simply awesome. Must admit, I had never heard of this destination before. So, thank you for the introduction. OMG that barracuda lake looked unbelievable! All your philippines posts make me so eager to fly over there immediately! Wow Thats Natural Beauty . quite amazing and felt relaxed by seeing this beauty. We were supposed to visit Coron a year ago, but CebPac dissolved their Cebu-Busuanga direct flights. I hope they will re-establish the flight because Coron has always been in our sights. We would love scuba diving there; the wrecks there are awesome dive spots! 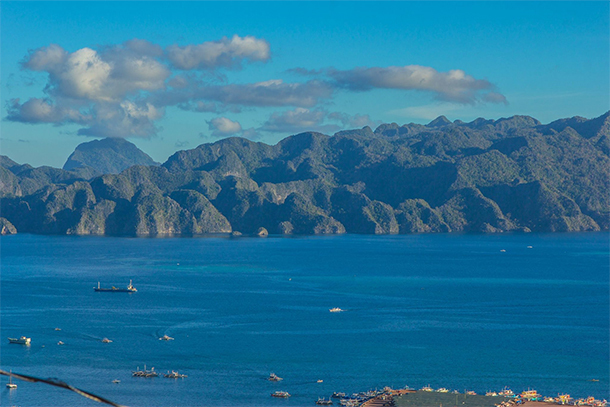 Aaaah, we’re going to the Philippines this winter and are going to Palawan! My wife is planning it out so maybe Coron will be on the list. If it has good scuba diving, definitely count me in! It looks so beautiful and am very excited for my visit. Wow, this place looks incredible! Your photos of it are so beautiful! Such gorgeous lakes and beaches. This sounds like a great place to snorkel. It would be eerie but fascinating to swim around a sunken ship. I haven’t used my snorkeling gear in a really long time. Hoping to travel to the ocean again soon! What type of underwater camera do you use? Hello Marvi! It’s indeed an awesome post. My kids love snorkeling too! 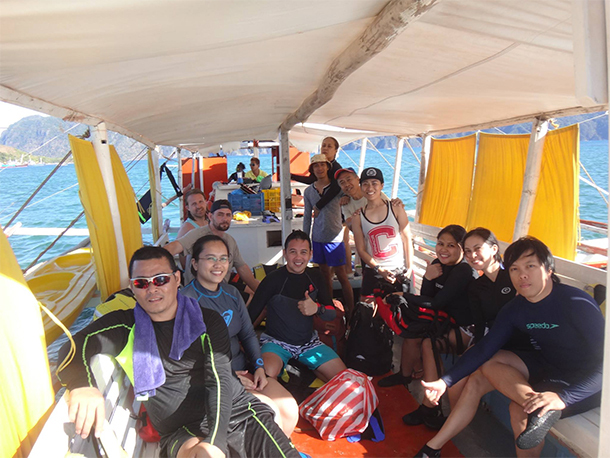 I booked a tour package with Ultimate Coron Experience (ultimatecoronexperience.com) and I want to add snorkeling to our itinerary so I want to know if you think Coron, Palawan is a good place for kids to snorkel? You got me here I have wanted to go to Coron, but four years ago there was no plane from El Nido only boat and or go to Puerto Princessa. But now they made it easier to reach and hope next time we go home in the Philippines we can visit here. Your post made me wanna go there right now! I’ve been dreaming of this place for many years. Thanks for the helpful and detailed information it is constructive.